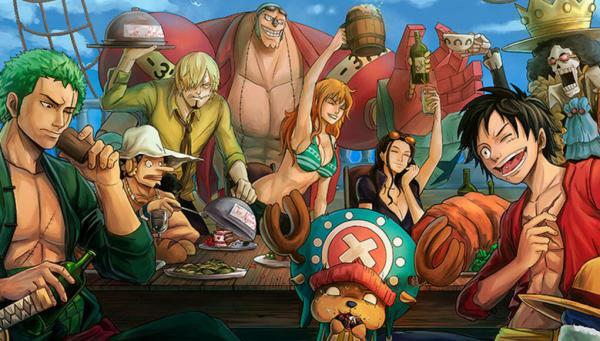 One Piece chapter 933 release date, manga spoilers, and upcoming chapter's raw scans. Like most of the fans, we are also waiting to see what happens to Komurasaki in the next chapter. We are now fortunate enough to get to see answers to some of the most awaited questions in One Piece 933. The last chapter (932) featured Kyoshiro holding the sword in the end. The fans were left speculating if he will save Komurasaki. But, it looks like that what was expected didn’t happen. Kyoshiro did unexpected, he hit Komurasaki in her chest with his sword instead of saving her. The blood was portrayed spilling out of her body. However, it is not yet confirmed if she is dead or not. In the meantime, the Oniwabanshu is still chasing Robin. While she was escaping, Brook showed up with a scary face. Nami was attacked by a Ninja, but Shinobu used her skill and fell on Orochi’s head. Brook, Nami, Shinobu, and Orochi got shocked. Orochi started chasing them. Nami stepped in and pulled out Zeus and made a counter attack on the Shogun. On the other hand, Chopper and the others talked to the Big Mom. The Chapter 933 ends with Big Mom showing some thumbs up. It looked like a preview. The official release date of One Piece 933 is February 18, 2019, Monday. It will be released along with the next Shonen Jump magazine issue. As usual, the digital scans will be out by the end of the week.